Over the past few weeks, myself and collaborators have been working on Students for Free Tuition, a UC San Diego organization. It was an idea born in a parking lot on a Sunday night- in the midst of looming tuition hikes, why doesn’t anyone point out the elephant in the room? 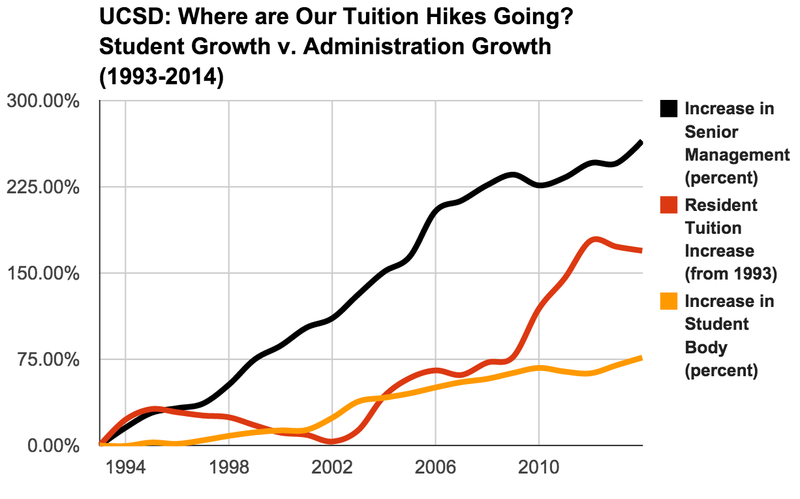 Tuition is already far too high, and it’s outpacing wages and family income. American exceptionalism exists, in that for a developed country it has a remarkably unaffordable higher education system. So many countries all over the world agree that free tuition is a necessary expense for providing a public good for society at large. Credit Andrew J. Mackay, data help from Todd Lu. What we have been getting is less funding from the state, run by a Democratic Party that pays lip service to funding education but lacks the teeth to pay for it. At the same time of the rising tuition, larger classes, and more crowded student housing, pricey senior administration is rising faster than the student body. The UCSD Chancellor, Pradeep Khosla, makes about $450,000 plus rent subsidy and expenses. 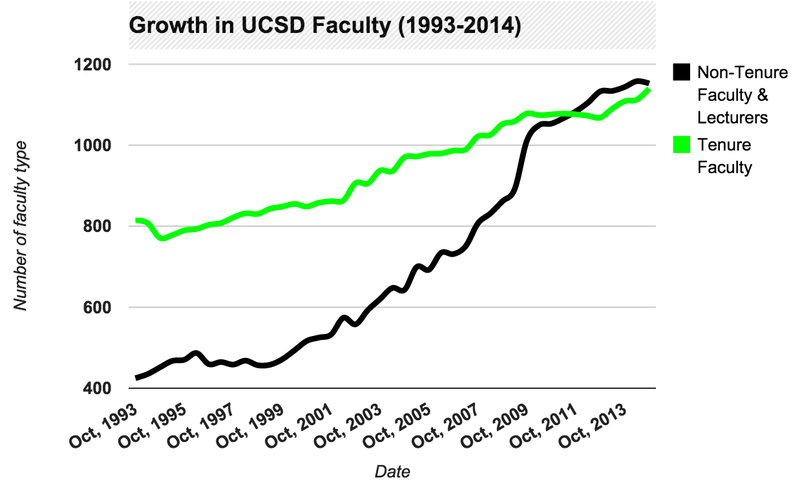 And corners are cut at every turn- UCSD has replaced most tenured faculty hiring with adjuncts, who work a similar amount but can’t participate in research and get paid half as much. Credit Andrew J. Mackay, data help Todd Lu. Higher education is a right. Free tuition is a path to a better, smarter, healthier society.